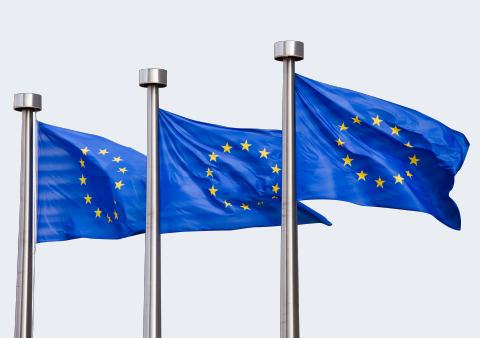 The European Circuit (“the Circuit”) is a voluntary organisation of advocates, barristers and court lawyers, including those in employment, practising principally as members of bars and law societies which have their principal establishment in the Circuit territory. For the purposes of this constitution the Circuit territory shall cover the geographical jurisdiction of the Court of Justice of the European Union and / or the European Court of Human Rights (“the Territory”). The object of the European Circuit is to promote the highest professional standards of competence and integrity in lawyers practising in more than one country or jurisdiction within the Territory. 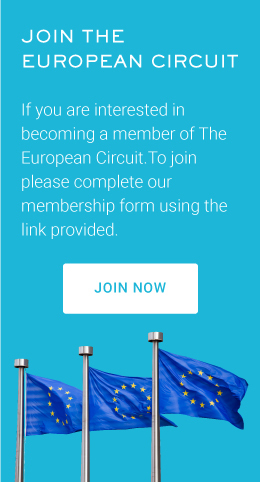 Membership of the European Circuit shall not be incompatible with membership of any other circuit or like organization. Article I.3 hereof shall be without prejudice to the regulatory and disciplinary responsibilities of any member’s bar or law society which shall, in all cases, have priority over the Circuit. Membership of Circuit shall be open to those defined under Article I.
must be sponsored by two members of the Circuit who ordinarily practise on Circuit, unless Executive Committee otherwise decides. The Secretary shall make provision for the publication to the Circuit Executive Committee of notice of any application. A Member of the Circuit Executive Committee may object to an application for membership by notice in writing to the Secretary within 14 days of the publication of the notice of application. An application for membership of the Circuit shall be determined by resolution of the Circuit Executive Committee, provided that such resolution shall not be voted upon until the applicant has complied with the requirements of Rule 2.2 above and 14 days have passed since the publication of notice of application pursuant to Rule 2.3 above. failing to pay in full all subscriptions and other monies owing to the Circuit within six months of such monies becoming payable provided that a member shall automatically be re-admitted to membership upon payment to the Circuit of all monies owed by him/her. to pay subscriptions and other monies compulsorily due to the Circuit upon the date of such subscriptions and monies becoming payable. to sponsor an application for membership of the Circuit. Every member of the Circuit shall pay by a given annual date (which date is to be determined by resolution at Extraordinary General Meeting), such annual subscription as may be determined by resolution of the Circuit in the General Meeting. The Circuit may by resolution of the General Meeting confer upon any person honorary membership of the Circuit, which persons may be (but is not exclusive to) suitable holders of judicial office in the Circuit territory. The Circuit may by resolution of Executive Committee confer upon any person associate membership of Circuit, such persons being those as are involved in the law and who share the interests of members of the Circuit, and this shall include, in particular, qualified lawyers, whether or not practising within the Territory, who are not members of the Bar of England and Wales or otherwise eligible for membership as set out in Article I, but who fulfils the conditions for membership within the terms of Article II. In addition, the Circuit’s work may be assisted by an Administrator, whose work for and on behalf of the Circuit shall be reasonably remunerated. Decisions as whether such a post is filled and if so by whom and if so at what cost are matters for decision by the Executive Committee. The Leader and Deputy Leader shall be elected from those members of circuit holding the rank of Queen’s Counsel, Senior Counsel or such rank as the circuit Executive shall decide is equivalent thereto. The Leader and Deputy Leader shall hold office for a period of two years from the end of the Term in which he/she is elected and shall be eligible for re-election. The Secretary shall give notice of an election by publication to members. A candidate for election as Leader and Deputy Leader must be nominated by two members of Circuit at least one of whom shall hold the rank of Queen’s Counsel, Senior Counsel or equivalent. Nominations for the office of Leader and Deputy Leader shall close at the end of the fourteenth day after notice of election has been given. If there is only one candidate for the offices of Leader and Deputy Leader respectively at the close of nominations such candidate shall be declared elected; if there are two or more candidates then the election shall be by ballot. When a ballot is required it shall be conducted by the Junior and the Secretary who shall ballot all members of the Circuit who, as certified by the Treasurer, have paid all monies due and owing to the Circuit at the material time. The Candidate with the most votes shall be declared elected; in the event of an equality of votes the senior candidate shall be declared elected. to chair the Executive Committee and to advise and receive advice on Circuit affairs and matters of concern to Members of the Circuit. All Circuit Officers shall be elected at the General Meeting by simple majority of those attending and eligible to vote and shall hold office for a period of two years from the end of the term in which elected and shall thereafter be eligible for re-election. For the avoidance of doubt, the election of Leader and the other officers shall take place in alternate years. The Committee may call an election of any officers by postal ballot in the event that any post may expire or be vacated for any reason (such as death, illness or resignation) at a time when a General Meeting cannot conveniently be held. It shall be the duty of the Secretary to deal with the day to day business of circuit in liaison with the Executive Committee and in accordance with resolutions of the General Meeting and these Articles to compile and keep safe appropriate records of circuit affairs, and to report on Circuit affairs to Circuit in the General Meeting or otherwise as he/she deems appropriate and to compile a Directory of Members for publication in such manner as the Executive Committee shall decide. It shall be the duty of the Treasurer to monitor, collect and account for Circuit subscriptions and other monies lawfully due to the Circuit, to approve and control disbursement of Circuit funds and to compile and keep safe appropriate records and to make arrangements for the independent audit of Circuit accounts. The Junior shall be elected from Members of the Junior Bar (or regional equivalent) practising in the Territory. The Circuit Executive Committee shall comprise the officers of the Circuit and further members who shall be elected thereto by a simple majority of the Circuit Executive Committee. liaise, or appoint one of their number to liaise, with other Bar circuits on matters relevant to European practice. Vote in the Executive Committee shall be by simple majority of those present and the Leader (or in his/her absence the Senior member of circuit present) who shall take the chair and shall have the casting vote. The Executive Committee shall meet not less than twice per year and one such meeting shall take place within a reasonable period preceding any and each General Meeting. The minutes of the Executive Committee shall be kept by the Secretary. The Executive Committee shall have power to invite the attendance of any person to any meeting for discussion of Circuit affairs. The Executive Committee may on the motion of the Leader and by simple majority of the Committee give specific roles or responsibilities to its members, such as acting as area representatives, organising particular events such as the annual conference, etc. Such roles shall give the holder no authority beyond that of an ordinary Committee member. The Circuit shall hold a General Meeting at least once a year at such venue as the Executive Committee may decide. Such a Meeting must be called if not less than 10 members of the Circuit, or if not less than 2 of the elected Officers request it. notice of such meeting not less than 14 days from the proposed date thereof. details of any business or resolutions to be discussed or debated at such meeting and an Agenda not less than 7 days from the proposed date thereof. to propose any amendment to any resolution provided he/she gives notices of such amendment to the Secretary not less than 5 days before the date of such meeting. The Leader shall preside at the General Meeting, or in their absence the senior member of the Committee. to elect any member or members of Circuit eligible for election thereto as the Circuit’s representatives on the Bar Council. Save with regard to changes in this Constitution, voting upon resolutions in the General Meeting shall be by simple majority of those present and eligible to vote, the Leader (or senior member presiding in accordance with paragraph 4 of this Article) having a casting vote. If 50% of members of the Circuit present and eligible to vote at the General Meeting so require, a ballot shall be conducted by the Secretary of all Circuit members eligible to vote and the resolution shall be determined by simple majority of those voting in ballot. Any resolution for the amendment of this Constitution shall be proposed as a resolution for consideration in the General Meeting in accordance with Article V hereof and shall not be passed unless approved by two thirds of those present and eligible to vote.